Who says that exercising your brain has to be a morally uplifting effort as well? These fiendish crosswords from former Games magazine editor-at-large Francis Heaney boast decidedly racy sensibilities, with their off-the-bathroom-wall themes, devious wordplay, and naughty innuendo. 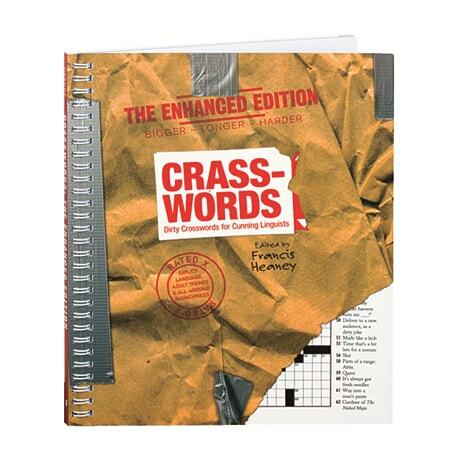 This expanded edition of Crasswords: Dirty Crosswords for Cunning Linguists also includes three cryptic crasswords full of blush-worthy entendres.